EM-NN-AMP is comprised of three different algorithms: NN least-squares AMP (NNLS-AMP), expectation maximization NN LASSO AMP (EM-NNL-AMP), and EM NN Gaussian mixture AMP (EM-NNGM-AMP). Toggling between them using the EMNNAMP Matlab code is extremely easy. Refer to the paper EM-NN-AMP by Jeremy Vila Philip Schniter for a detailed description of the algorithm. This manual will show how to use the EM-NN-AMP MATLAB code. EM-NN-AMP is comprised of the NNLS-AMP, EM-NNL-AMP, and EM-NNGM-AMP algorithms. Toggling between them is straightforward. To run each algorithm on its defaults, all one needs to supply are the measurements and mixing matrix (or operator). 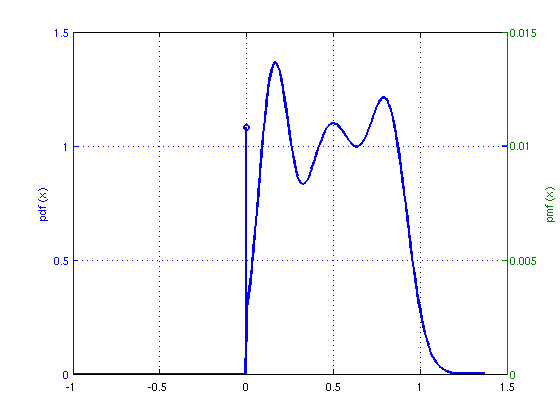 The algorithm then returns the recovered linearly-constrained non-negative signal. It is straightforward to run EM-NNL-AMP and EM-NNGM-AMP using the EMNNAMP Matlab code. Moreover, parameter initialization and learning are handled automatically. EM-NN-AMP can also handle other signal types including those with linear equality constraints, even in the compressive sensing regime. K = 1; %Ensure at least one active coefficient. It is straightforward to apply EMNNAMP to real NN datasets. 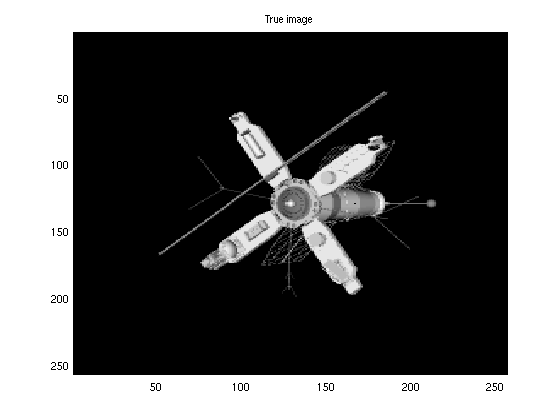 In this example, we recover a sparse NN image of a satellite under noisy, compressed linear measurements using the randomly row-sampled Hadamard transform operator. EM-NN-AMP can assume an additive white Laplacian noise model for improved robustness to the outliers in the measurements. 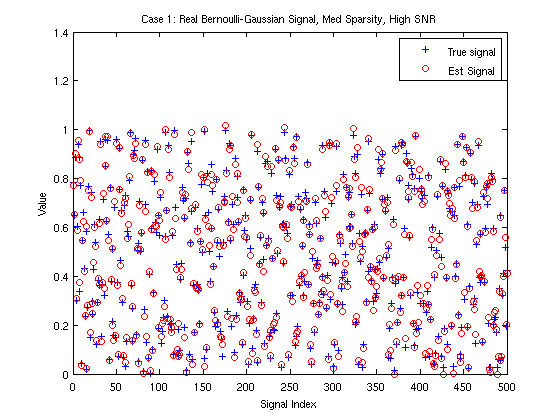 %Define signal as a truncated Gaussian.